Recipe of the cake is by Irina Chadeeva. Cake will appreciate especially those who are on a diet, because it is baked without flour. In my family no one, except me liked it. Heat the oven at 180℃, grease the 19 сm form with butter. Mix melted butter with 50 g of sugar. Separate yolks from whites. 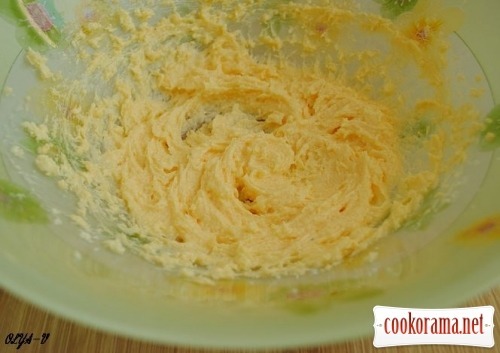 Add yolks into butter mixture and mix again. 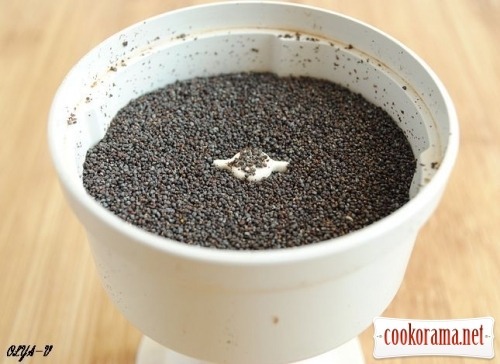 Grind poppy seeds in a coffee grinder. Add in mixture and mix again. Mix whites with 25 g of sugar, add to the dough, carefully stirring. Pour the dough in form. Bake the cake for 30 min. Let the ready cake to cool off. 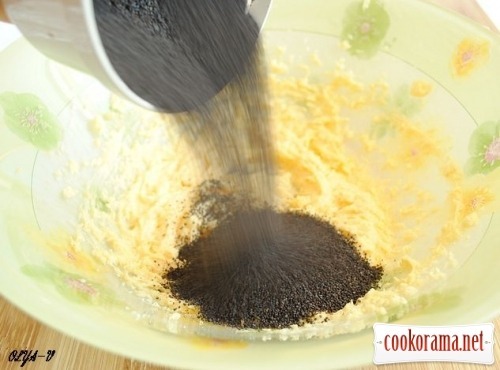 Stirring add lemon juice into sugar powder, till you get thick mass. 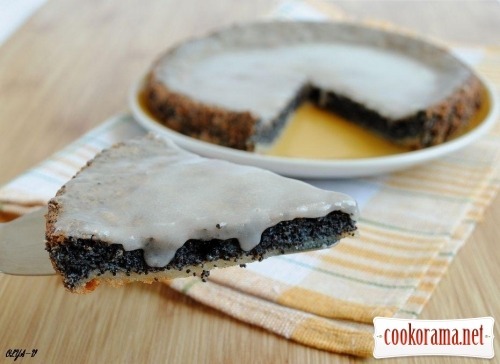 Cover warm cake with glaze. 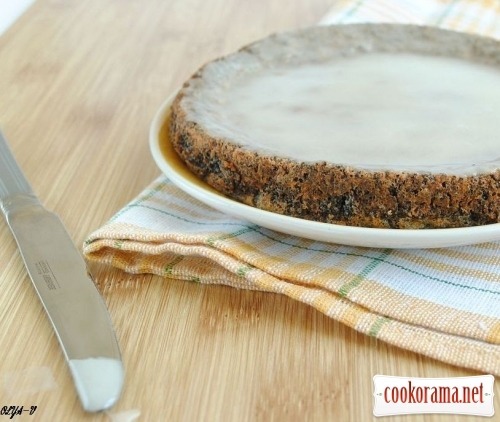 Top of recipe "Poppy seed cake"
Я не на диете, но мак обожаю! Огромное спасибо за такОй рецепт!!! Оля, а я люблю маковые пироги! Я бы оценила! Біла глазур на чорному маці-це мені дуже сподобалось. Не знаю чому, але задіває якусь приємну струну! Краса! на вид очень аппетитно , давно ищу рецепт пирога где был бы один мак. Спасибо!! !